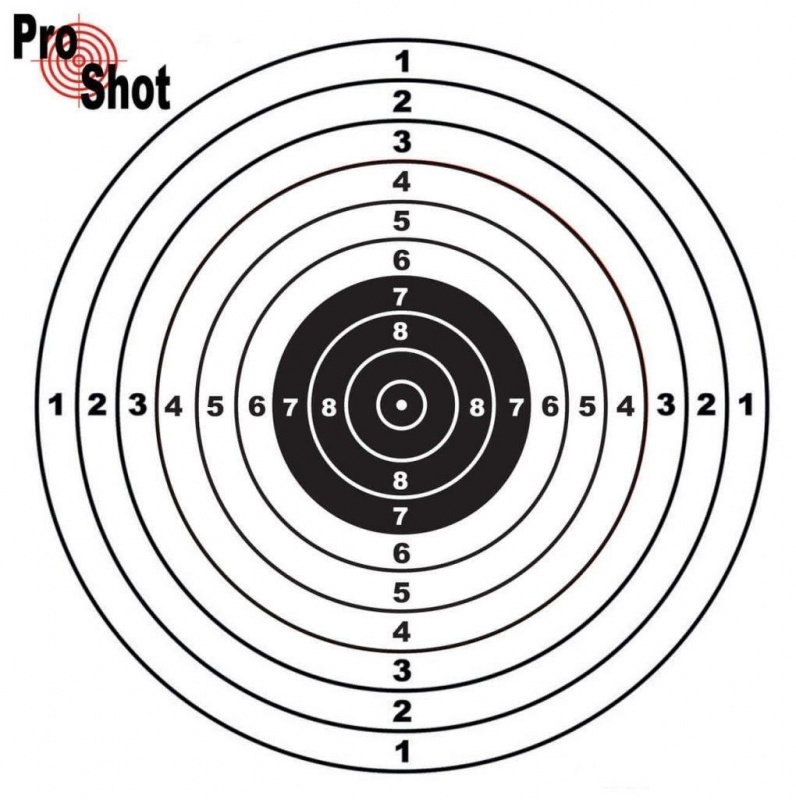 Our Practice range of targets are available 17cm sizes. Printed on a nice thin card which produces a neat hole for ease of scoring and printed in contrasting colours to help score from a distance. Our design includes 9 zeroing ‘mini’ targets so that a rifle or pistol can be accurately zeroed before using the main target. 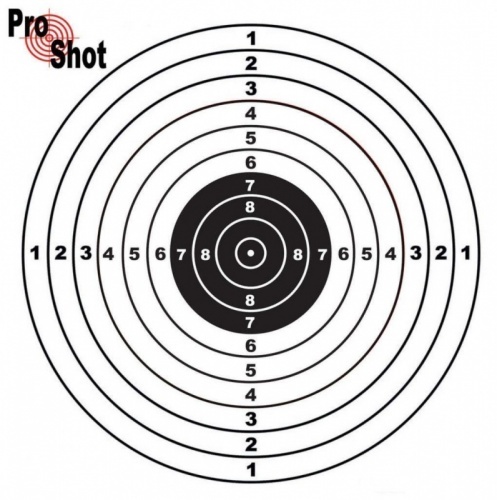 This feature decreases the number of targets used saving the shooter time and money.